A pool filter is a rather passive piece of equipment. With no electrical components and no moving parts unless you include valve handles, it is mainly a tank that water flows through. But there is still a complex swirl of activity going on in there, and part of that is pressure. To get a read on this, your filter has a pressure gauge usually found on top of the tank. The gauge has a round face numbered 0 – 60, a needle that indicates the pressure in pounds per square inch (psi), and a clear protective lens. This small part is key to maintaining your filter and therefore your entire pool. 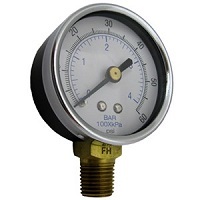 For your pressure gauge to be of any use at all, you first need to know the normal operating pressure of your filter. Ideally this is a number you should record upon installation of your filter so you have a benchmark for all subsequent pressure readings. If it’s not a new filter, then you want to note the starting pressure after your filter has been cleaned. This number is not the same for all filters as there are way too many variations from one pool to another. Normal pressure means pool circulation is in good order, with the pump’s suction drawing water, passing it through the filter, and returning it to the pool at the correct gallons per minute. This is the sweet spot where pool owners can lean back in that lounge chair and relax, for a little while anyway. Eventually the inevitable will occur – a higher than normal reading on that gauge. The rule of thumb is that a reading 10 psi over normal indicates it’s time to clean the filter. Cartridges that need to be cleaned, or sand or D.E. that needs to be backwashed are usually the cause of the higher reading. In this case, the pump is still doing its job but the dirty filter media is slowing down the return of water to the pool and raising pressure within the tank. In most cases, cleaning will decrease the pressure but sometimes replacement of the media is required. Consider replacing filter media if you clean repeatedly and still see high pressure readings. Of course, the other scenario is that your reading might be too low; 5 psi below normal should get your attention. This typically indicates that water going into the filter is somehow impeded. Pressure within the filter tank is created by water so a low reading means restricted flow. This comes from a source other than the filter itself; the problem is that the pump is sucking less water than normal. In this case, check for debris clogging the pump basket and impeller, and any air leaks at the pump (the pump lid and/or lid o-ring are common culprits). If the pump looks good, make sure the main drain covers aren’t blocked and check the pool water level to be sure enough water is reaching the skimmer. If you can’t resolve low pressure after checking and correcting these most common causes, then you might require a qualified pool tech to assess the problem. The gauge should also be inspected periodically to be sure it is in good working condition. High or low readings could come from the gauge itself. Signs of needing a new one are cracked or foggy glass or a needle that sticks. If the gauge is questionable, it’s worth spending the average of $15 – $20 to replace it and ensure more accurate readings. Working alongside the pressure gauge is the air relief valve. Air builds up inside the filter tank when the pump has been off or has lost prime. Upon start-up, opening the air relief provides a vent for trapped air. This is vital for a couple reasons. First, when the pump starts, water starts rushing through the system. If trapped air is not released, it is compressed by this flow of water, increasing pressure and possibly compromising pool equipment i.e., causing the top of the filter or the pump lid to blow out. Second, trapped air competes with water for space inside the tank and can prevent water from flowing through the full filtration area available, reducing your filter’s efficiency. There are quite a few ways air can get into the system so there will be different scenarios that require releasing it through the air relief valve. Some of the possible causes are opening the pump lid (typically to prime the pump, clean the strainer or replace parts), backwashing, vacuuming with a cracked hose, or a water level that has dropped below the skimmer. Both the filter pressure gauge and air relief valve are important to the overall health of your pool’s circulation and filtration systems. Make sure yours are in good shape and if not, check with us for these easily replaceable and inexpensive parts. We have a huge selection of filter parts for filters both well-known and obscure. Good information. I am a first time pool owner, so i need all the help I can get. Pump return is blowing bubbles. Will check pump seals, etc. Water filter tank has NO “0” pressure reading. Thanks. Thank you for reading, Andy. Good luck on troubleshooting your pump. I had the same problem. My pool guy said that a possible air leak in one of the pipes. (I’m new also to the pool world ) After about a month I took off the big hood with the filters in it and the old filters fins were completely full. They said I could soak them a soapy solution and spray them off and reinstall them. I decided to bite the bullet and buy new ones. (Spendy). Man what a difference. No bubbles. PSI at 10. And the clairity is amazing. I just cleaned the filter on my pool and is now reading above 10 psi pressure, do I need to replace the filter? Have you tried giving your filter a chemical soak to clean all its nooks and crannies? The product Filter Clean should get the remaining dirt particles a normal hose down misses. If after the chemical soak, the filter stays at a high psi then it would be time to replace the cartridge. I cannot find a pressure release valve on my filter. My pressure gauge is on the side and I don’t think it works. I just bought this house and it came with a pool. Totally winging it. Some filters do not have a pressure relief valves. Do you know the model number of your filter? I changed out the gauge and water came pouring out…. So I guess there’s my release. I had the lady at the pool store show me where to look but I sure don’t have a separate valve on my filter. Thanks for your reply! hey matthew i have a hayward filter with out a PRESSURE RELIEF VALVE is there a way to put one on? or another way to get air out of my filter? My releif valve blows air all the time is that a problem? The valve and gauge are both at least ten years old. I’m getting air in the system as every time I start the filter I have to let the bubbles stop before attaching the creepy. The reason I checked the pressure system is that there’s not enough suction to run the creepy anymore. The first and obvious bit of this problem is finding the air leak (if there is one.) We have a good guide on correcting and finding air leaks, How to Identify and Correct Air Leaks. A cause for a dip in pressure is the air in the system. A cheap trick for sourcing the air leak is using smoke from a cigarette to find the sucking air leak. Happy hunting. First off, welcome to our blog. And secondly, where is your filter releasing water? Is it coming from a seam, the air relief valve or one of the pipe ports? Could be a bad gasket, it is not screwed properly, or there is a crack in the shell. Only way to know for sure, is to go look at it. still learning all about my pool and pump n filter,,i have what sounds like air running though my filter,,have no presser releaf vavle ( wish i did) any help from any one? Do you know what model filter you have? If it is a sand filter, the air usually dissipates after normal filtering or you can set the filter to backwash to purge the air. Above ground pool pump had a 13psi pressure reading when installed. It now reads almost 20?? And the water flow back into pool is not nearly as strong? How is the pressure highest but the return flow weaker? Newbie here. Think of the PSI reading as the force working against the water flow, instead of the force pushing the water. The PSI reading is high, likely because the filter is dirty meaning there is less space through which the water can move within the filter media. The decrease in flow is caused by the water being bottlenecked through a dirty filter. Clean your filter and it should return to the lower PSI and regular flow rates. Thank you. Will clean out filter and update! New to pool maintenance but i cleaned my filter and closed the relief valve. After a few minutes a small amount of water came dribbling out. I opened the valve and water came out with a steady stream. I tightened the valve after a couple of minutes. My question is should the valves be screwed tight during normal operation? The air relief should be in the closed position when the pump/filter is running normally. Does the water come from the relief valve or the relief valve port? My pressure gauge is reading 23psi. We installed a whole new grid assembly and got the pool back up and running. My question is when putting in the de if the correct amount is put in shouldn’t the pressure drop? I thought a reading of 20 or higher meant the filter needed to be backwashed. The gauge is brand new also. Pools have different pipe run lengths and quirks, so the pressure will vary. A pool’s normal PSI may start at above 20, though high for most pools. Kathy…just as an FYI…my pool used to run 20-25 # all the time as well. I even took the filters out at one point, and pressure only dropped a couple pounds. I was running a Hayward 2hp super flow pump and it turned out it was just a tremendous overkill for my system. Trying to pump too much water for the system I have. 2HP pump is a big pump…the water has to go somewhere or pressure just goes up. I installed a variable speed pump and now my pressures are great. No idea if that might be your situation or not…but something to think about…is your pump appropriately sized for the system. My skimmer does not move in the pool. How do I get it to move again. I just installed a Hayward TriStar VSP pump, the rest of all my equipment is also Hayward. I’ve worked in mechanical systems my entire career and understand the importance in keeping the system free of air and vent during start up…when I’m there. As the industry goes more toward automation, we are not always there when the pump starts, I never am as it runs on a program set. I’m considering running a continuous vent by putting a tee where the gauge is and running a small 1/4″ Stainless line over to downstream of my Chlorine Generator (have a saltwater pool). You see any issues with this? I would bypass a very small amount of flow around the filters, but minimal. This way the filter housing would be vented all the time. The main reason I am considering is: if there is air in the filter housing, when the pump shifts modes, it trips on overload as the air bubble expands and forces water back into the discharge of pump while it trying to restart. Hayward and I troubleshot this for a couple weeks before we found the cause. If it’s vented, shifts beautifullly every time. When running, it stays full of water and vented. The issue comes when the system is down for a few hours and the filter housing eventually drains. Variable speed motors are a great fit for Sand, DE, or Cartridge filters. 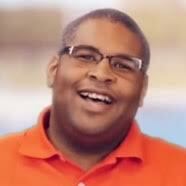 The pressure issue your pool guy is talking about I have not experienced in the years I have been in the pool industry. GAlso, dual speed motor which have been around for decades have a high and low speed, and they work fine no matter the filter media. There is a continuous stream of air coming from my air release thing at the top of my filter. The water never comes shooting out to tell me all the air is out of the system. What should I do? Can you see larger than normal bubbles through your pump lid while the pump is running? Do you see air bubbles coming out of your return lines? We had a new sand filter / pump installed last spring and paid to have our pool closed for the winter. We tried open our pool today and every time we run the filter, there is water shooting from the air bleed valve……even when it’s fully closed. We did already replace the O-ring but it did not help. Does anyone have any advice? No pressure, won’t prime. Been fiddling with everything for 2 days. Should I try to release the air pressure valve while the pump is on (and just humming) or turn it off before doing it. Thanks! If the motor is humming and not turning, it sounds like a motor issue and not air in the system. You may have a bad capacitor, or something deeper is troubling your motor. When my pool pump is turned on the lid on my filter unit raises about a inch, is that normal? No that is not common. The lid should be securely fastened to the lower shell of the tank. I have a carefree sand filter. I hear air in the tank. ( I hear it bubbling) And no air relief valve. I have tried backwash. I also can’t find a leak…. everything is less than a year old. I’m at a loss… there are no professionals in my area that will check an above ground pool system. Sand filters usually do not have an air relief. The air is worked out of the tank eventually unless you have a constant air leak feeding new air. have you tried the smoke trick, to find any sucking air leaks? Use incense or a cigarette (anything that puts out smoke) and run it along the pipes and pool equipment. if something is pulling in air, then it will also pull the smoke. Oh also pressure gauge didn’t work I replaced it… however it isn’t reading either… there is definitely a problem in my sand filter system. If I run my Polaris pool cleaner, the filter pressure goes up by 10psi. Is this a normal thing? What type of Polaris pool cleaner is it? Is it a pressure side cleaner that uses a booster pump or a regular suction side cleaner? I have a jandy dev60 filter. I recently cleaned the filter and recharged with 10 scoops of De. The pool looks clean but when you swim at night with pool lights or when the sun is directly shining you can see small white particles throughout the pool so I’m thinking some De is getting back in. Also I noticed when I use the air pressure relief valve the water that comes out has De in it. All this equipment is brand new as is the pool. Any suggestions. Hi whenever i go to open the air relief valve water usually starts spraying out like fast high pressure….i opened it today and the water is slowly coming out. What could be the problem? Is your pressure gauge at normal operating levels? Or is it low? If they are low, it could be a blockage or something else causing low pressure. Do you have a single speed, dual or variable speed pump? If you have one of the latter then you may be opening the valve when it is at a lower speed. I’m new to pool maintenance. I figured out water testing, cleaning leaves out of filter and skimmer, just backwashed for the first time today ( I have a Hayward sand filter ). I had a recent water leak on a return hose that was repaired, no big deal. Now I am noticing water collecting on the top of my control valve and condensation on most my hose lines. Is this normal? Do I have a bad seal? Or is this due to weather change? When your pump is running do you see larger than normal air bubbles in the pool pump strainer lid? Or do you see water actively pouring from the top of the valve? if not, then it probably isn’t an issue. There should not be any water leaking from the top of your valve when the handle is turning. There are gaskets on the stem of the diverter handle (inside the valve) that should be preventing water from escaping. Also, make sure you are only operating the handle when the pump is off. If you move the handle when water is flowing it can play havoc with gaskets. I have opened my air relief valve many times. Yesterday, I twisted it up and open until water came out. However, when i twisted it shut, it would only go a bit and would not fully close back. Pool man says come buy another one and replace it. What do you say? Did you cross thread the plug when you were screwing it in? That may cause the plug to go in cockeyed making it not insert properly. My pump sounds like it is surging and it looks like air in top of the strainer lid. I released air from the air relief valve and the water surged and pushed out the turn screw? I put it back it but now there is a continuous stream of water coming from a place on the valve. By the turn screw, do you mean the twist knob of the air relief? If the leak is coming from there, then an o-ring might be out of place or missing. What is the model number of your filter? I have a Hayward D.E. filter and have been trying to correct high pressure for two weeks now. It was reading at over 35. We have tried cleaning the grids and the strainer basket. We replaced the multi port valve, and we got a new motor for the pump. Pump is a single speed. We finally took the grids apart tonight and cleaned each one with a power washer. After putting it all back together, pressure was 10 for a while but is now 25. The only thing I know of is that the air breather tube is broken. The guy at the pool store told me this part has nothing to do with pressure. Is that true? Any other suggestions? I have a Hayward DE filter. Pressure has been been fine since opening in May. Weekly backwashing. Water is crystal clear, no algae. Decided to clean and inspect the filter as it was not done yet this season. Cleaned it, inspected the grids, no tears or cracks. No leaks in any of the equipment. No bubbles in pump basket. DE replaced and pressure was at 10, which is normal for my pool. Great pressure out my jets. No DE returning through the jets. Two days later, pressure on my gauge reads 25. I backwash, rinse, backwash. Release the air pressure. (Even the backwash water was clean, just gray from the filter powder). Add the DE again. Two days, pressure up to 25 again. I am stumped. Any ideas? I am needing a replacement for my pool pump but can’t seem to find the exact one. I now have a Waterway Hi-Flo II 48-frame above ground 115V 2HP dual-speed. It has a part #PH2200 – 6RP. It is making a loud whistling type noise and the neighbors are becoming annoyed 😠. Can you suggest a replacement and where I can order one? Thanks so much! What if I open my PRV and water only runs out? I was expecting something more high pressure… with water blasting out a few feet. It’s a Hayward DE Filter. Any concerns? Different systems run at different pressures. Is it reacting differently than before? Also, do you have a dual or variable speed pump that was running at a lower RPM at the time of this test? I’m new to pool ownership. I replaced a nonworking gauge and it seems to work fine, but the “clean” pressure is really low, only about 3 PSI. Is this normal? I have a Posi-Flo 135 sqft silver bullet filter. Also, I don’t seem to have a air bleed filter, not sure where it would go if I had one. Any advice? Thanks! Hello David – do you know the model number for your filter? Sta-Rite used Posi-Flo in a few different series that vary in design. Is your model look like 135TX, PTM135 or something else?